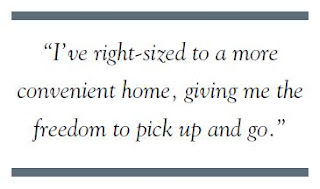 While Athertyn homeowners value their privacy they also take pleasure in our community’s active social life. At the center of this sociability is the clubhouse, reserved for residents and their guests. Located just steps from the residence buildings, the exquisite clubhouse serves as a favorite meeting spot for a wide range of social, recreational, and intellectual activities. Grab a full-body workout in the state-of-the-art fitness center with club-style locker rooms. Or take a dip in the outdoor pool and Jacuzzi. Across the way are a tennis court, a putting green, miles of hiking and bicycling trails, as well as an extensive community garden. You may also take advantage of the indoor golf simulator to polish your game all year long. Even the new Township Recreation & Environmental Center is right down the hill, featuring an indoor walking track, an ecological center, special programs, and a fantastic playground for entertaining your grandchildren. Have a special interest or a desire to meet new people? Athertyn’s Lifestyle Coordinator organizes a full social calendar; residents are invited to join a variety of clubs, attend movie nights and monthly happy hours, and participate in the popular Athertyn Enrichment Series (visit Athertyn.com or subscribe via Athertyn at Haverford Reserve on Facebook, Athertyn@Haverford on Twitter, or Athertyn on Pinterest for details and upcoming events open to the public). Open to residents as well as the invited public, the Athertyn Enrichment Series offers stimulating cultural and social events that are terrific opportunities for you to experience our community. This past spring we hosted a “Fashion Rescue” trunk show with acclaimed fashion designer Frank Agostino (posing here with two models). 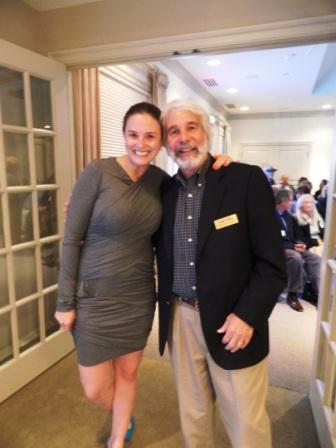 In May, Victoria Wyeth (posing here with Todd Pohlig) provided personal family stories and her perspective on the most influential works of her grandfather, Andrew Wyeth, one of the great masters of American painting.